The company mainly specializes in international and inland road haulage. Since its foundation in Náchod in 1990, the company has been dynamically growing. 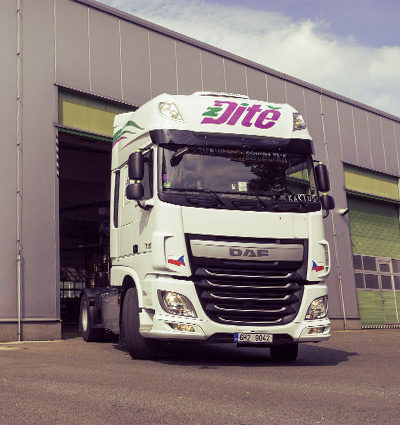 Owing to the range of services provided and owing to the quality of the fleet of vehicles, the company now ranks among leading and prominent forwarders in the region. The ISO and GMP certificates that are regularly renewed as well as annual training courses organized for our drivers and other employees guarantee the top quality of the services provided. We provide comprehensive transport and forwarding services, mainly in the field of international and inland road haulage. Operation of all vehicles is controlled by a team of professional controllers from the company headquarters located in Náchod, Czech Republic. Regular servicing, economical operation and discharging documentary duties and obligations is the responsibility of a team of experienced technicians. Do you need to transport palletized goods, bulk materials or liquids to any destination in Europe? We are ready to suggest the optimum kind of transport and the right vehicle for the given purpose from the wide offer of our fleet.